﻿ CIMA - What is CGMA? WHAT IS CHARTERED GLOBAL MANAGEMENT ACCOUNTANT (CGMA)? Chartered Global Management Accountant™ (CGMA®) is the global designation for management accountants. Two of the world’s most prestigious accounting bodies, AICPA and CIMA, collaborated to establish the Chartered Global Management Accountant (CGMA®) designation to elevate and build recognition of the profession of management accounting. This international designation recognises the most talented and committed management accountants with the discipline and skill to drive strong business performance. CGMA designation holders are either CPAs with qualifying management accounting experience, or associates or fellow members of CIMA. The world’s first Global Management Accounting principles are powered by the AICPA and CIMA, to give your organisation a practical framework to improve decision making and drive value. The Principles provide the best in class management accounting framework that could empower your organisation to make the best possible decisions and succeed over time. By following the Principles and working closely with your CGMAs, you can unlock the full potential of your finance function. 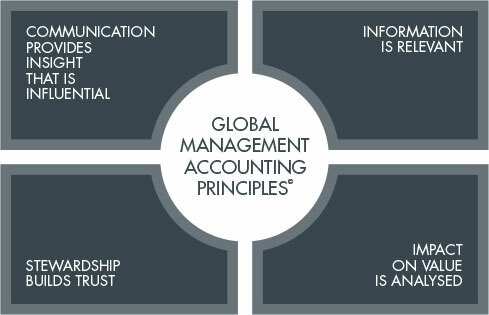 Visit the CGMA Global Management Accounting Principles website for more information. What is Chartered Global Management Accountant (CGMA)? A practical framework to improve decision making in your business and drive value. An outline of the skills and competencies management accountants need in order to add value to your businesses. Our syllabus and assessment bridges the skills gaps of newly qualified finance professionals worldwide. Need more information about how CGMAs can help your business? Our CGMAs provided a deep analysis of client recoveries per clients and sectors. They also helped benchmark our competition, and provided recommendations to ensure we are market leading. This allowed us to make some serious decisions around the utilisation of our people and our focus on investment.